A 1966 book by American author Truman Capote detailing the brutal 1959 murders of Herbert Clutter, a successful farmer from Holcomb, Kansas, his wife and two of their four children. A study of a brutal multiple murder and its bizarre aftermath focuses on Jeffrey MacDonald, convicted in 1979 of the murders of his pregnant wife and two small daughters. Describes the November 1978 San Francisco shooting when a former city supervisor named Dan White opened fire and killed Mayor George Moscone and city supervisor Harvey Milk. Tells the story of the Spooner Murder of 1778 where a woman, after learning that she was pregnant as the result of an extra-marital affair, convinced her lover and two British soldiers to murder her husband. The sensational true story of Hollywood's most scandalous murder--covered up for sixty years and solved at last by the great film director King Vidor. 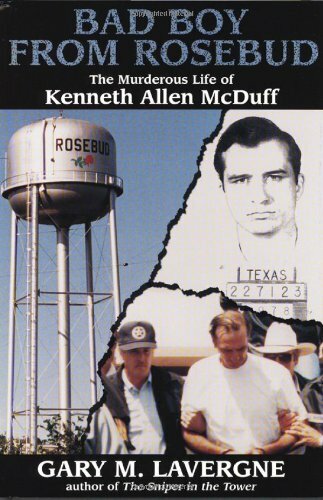 Describes the life of Ken Rex McElroy, a Missouri resident accused of several crimes, and his murder in 1981. This book brings to life a thought-provoking chapter in American history and in the history of the juvenile justice system, shedding light on our contemporary predicament and encouraging us to think about what it means to continue to uphold the juvenile death penalty in the twenty-first century. The author takes us on a tour of murder, its investigation, and its prosecution from the perspective of a seasoned homicide detective. Covering the homicide beat in Florida and Los Angeles in vivid, hard-hitting articles, Connelly leads the reader past the yellow police tape as he follows the investigators, the victims, their families and friends--and, of course, the killers--to tell the real stories of murder and its aftermath. The author reveals the extremes to which desperate teenagers will go in their search for a sense of community, and builds a persuasive and troubling case that street families have grown among us into a dark reversal of the American ideal. A major new work from the New York Times bestselling author of Havana Nocturne and The Westies: Through the stories of three desperate men--an innocent man wrongly accused of murder, a corrupt cop, and a militant Black Panther--T. J. English tells the story of race, violence, and urban chaos in 1960s New York City. The author examines the nature of evidence and proof in the infamous Jeffrey MacDonald murder case. Journalist Susan Tejada has spent years investigating the case, sifting through diaries and police reports and interviewing descendants of major figures. 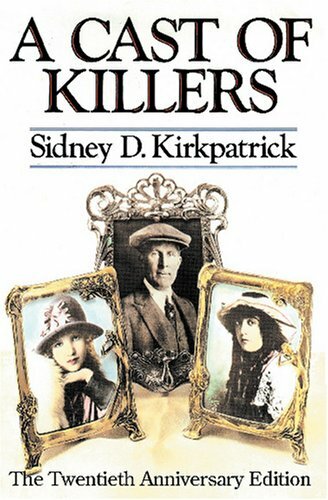 She discovers little-known facts about Sacco, Vanzetti, and their supporters, and develops a tantalizing theory about how a doomed insider may have been coerced into helping professional criminals plan the heist. The author explores the various motives and drives that spark workplace murder, and answers hundreds of questions that are usually asked only after a workplace murder rampage has already occurred. The author unravels a shattering case of Christmastime murder off the coast of Washington State—presented with the clarity, authority, and emotional depth that Rule’s readers expect. Find more ebooks about serial murderers in Ebrary.